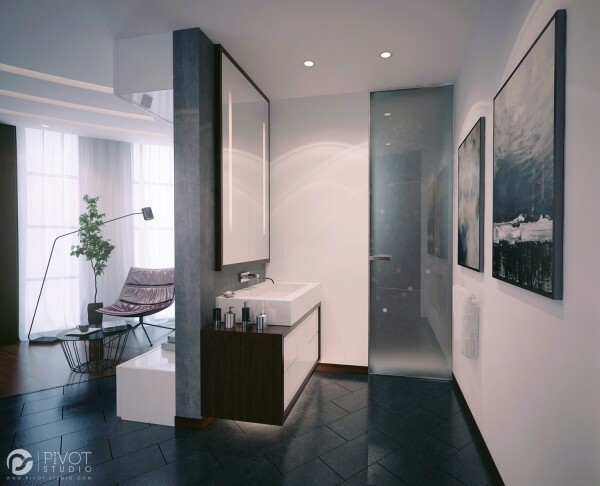 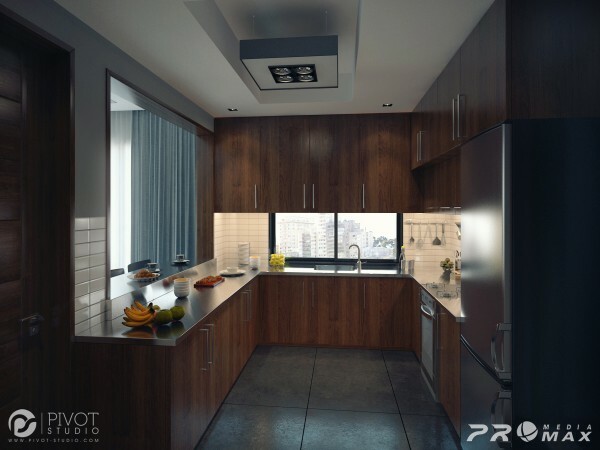 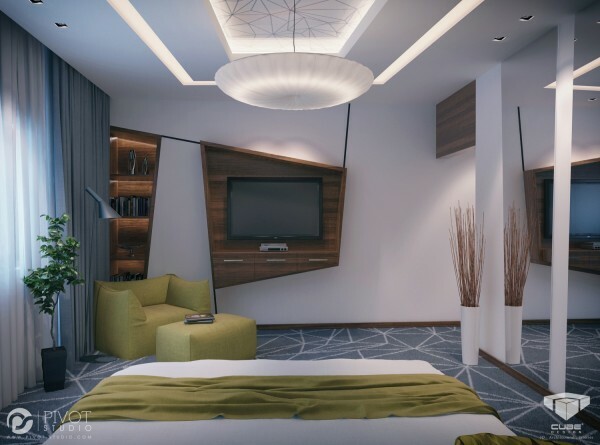 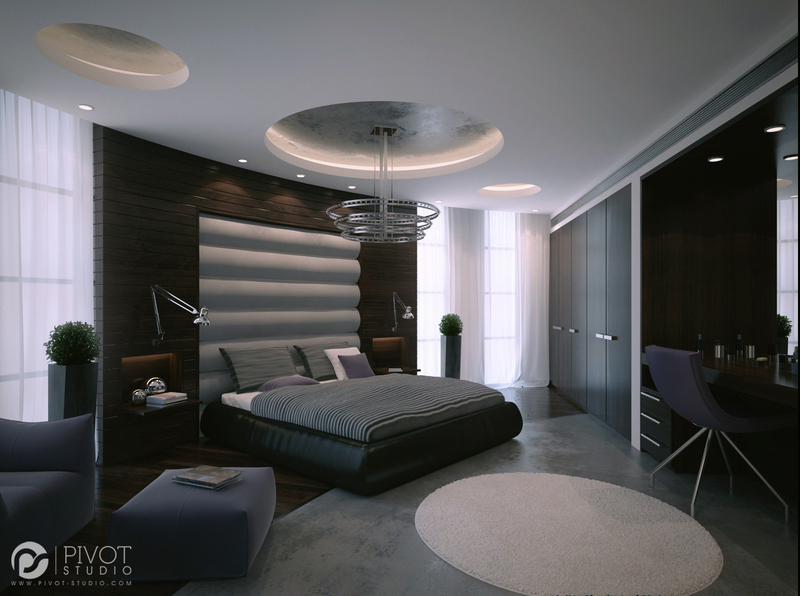 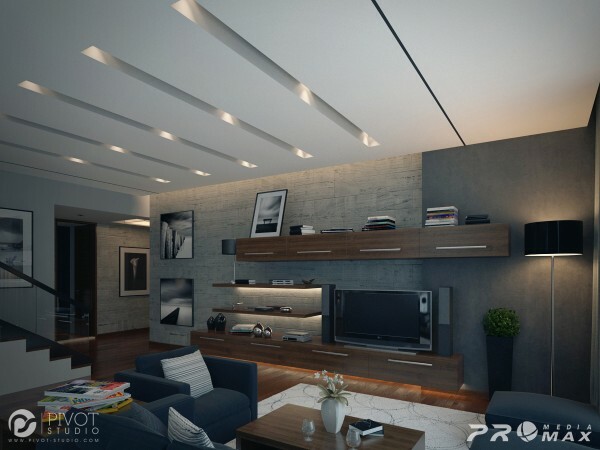 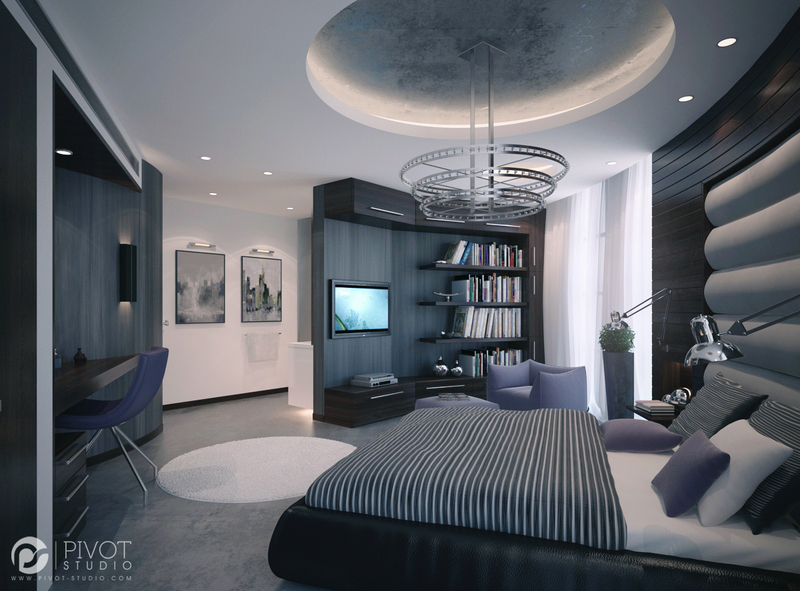 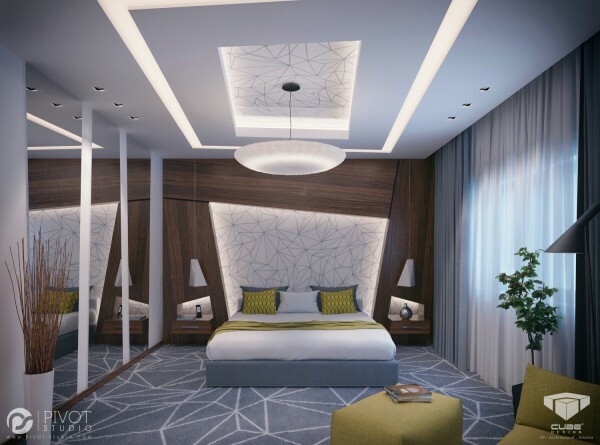 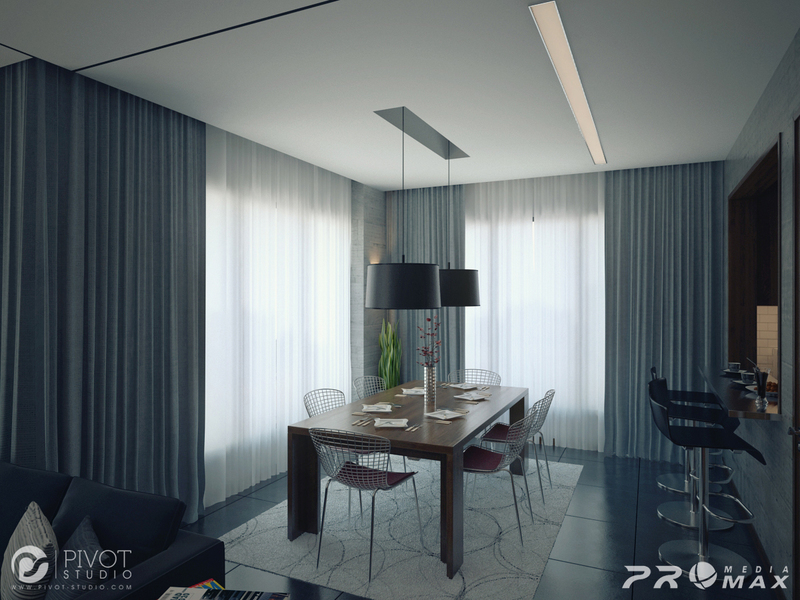 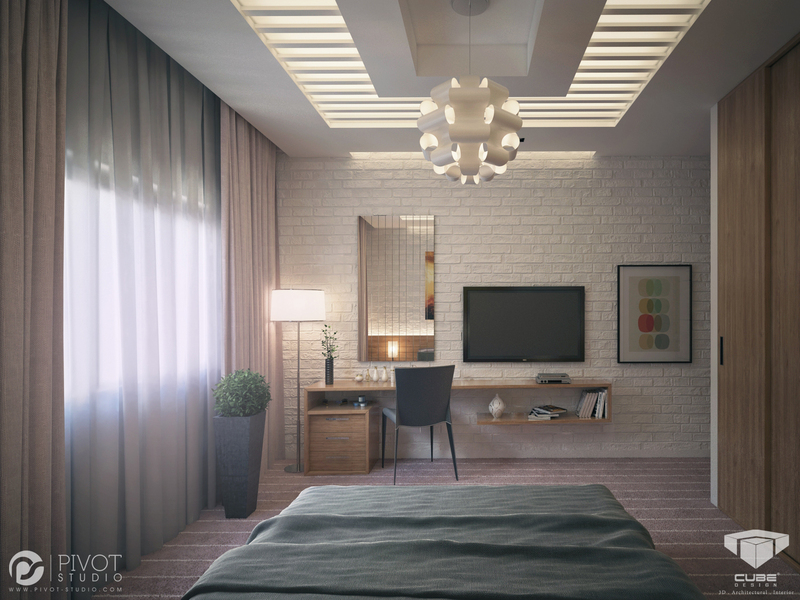 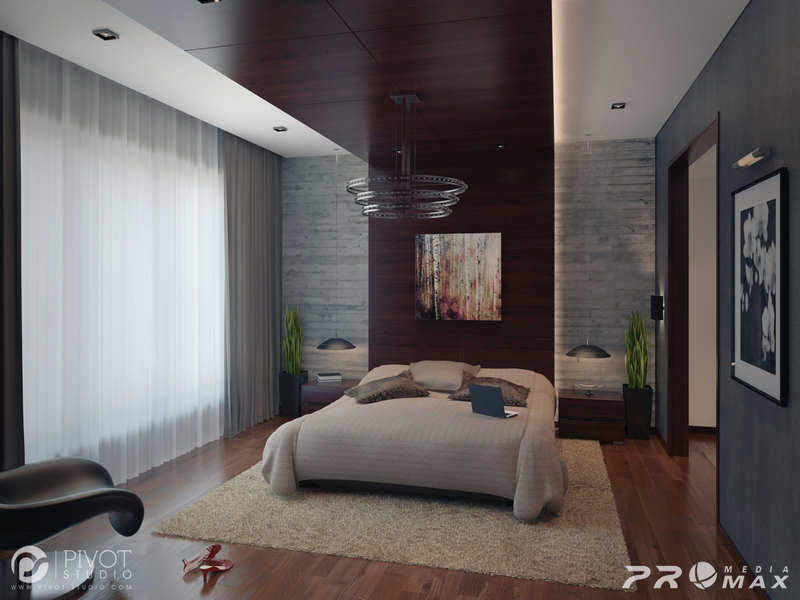 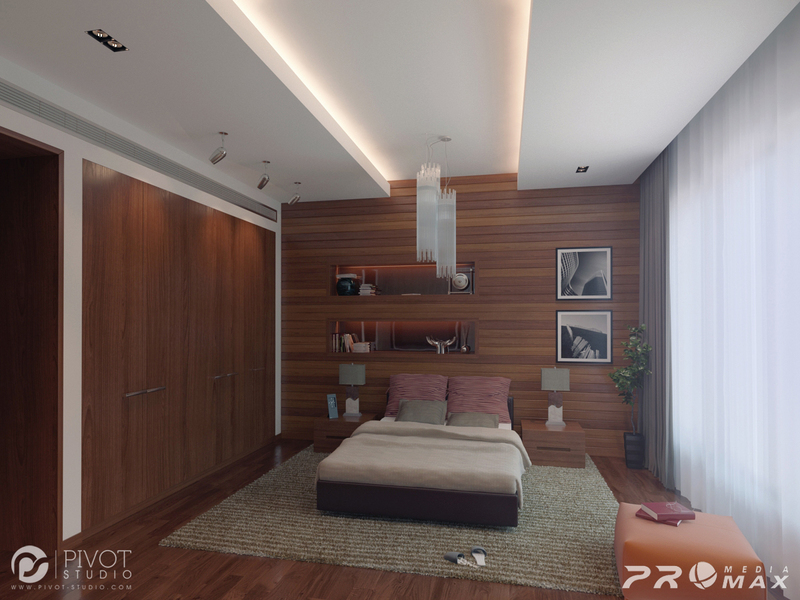 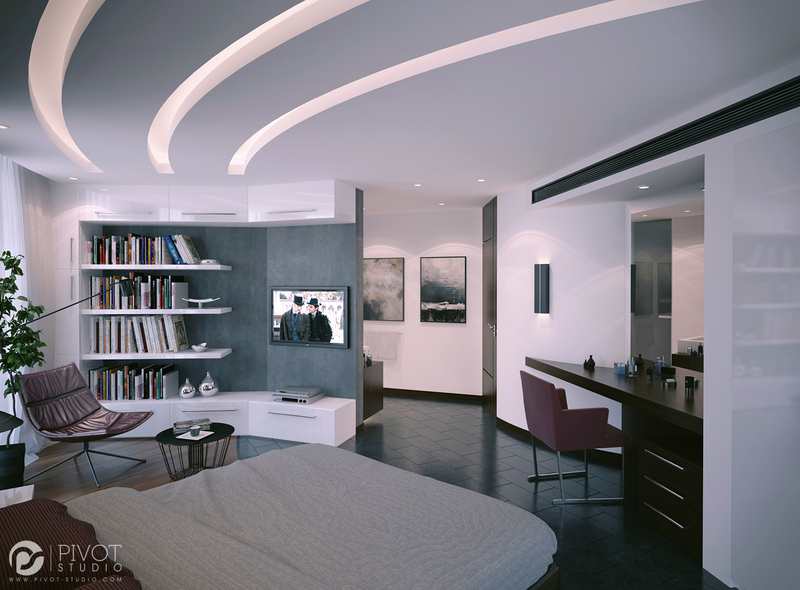 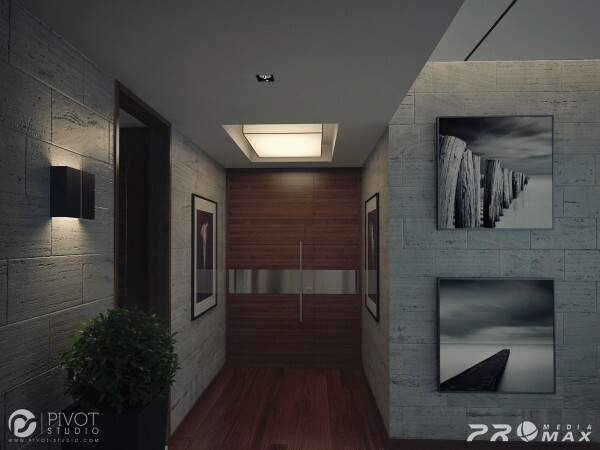 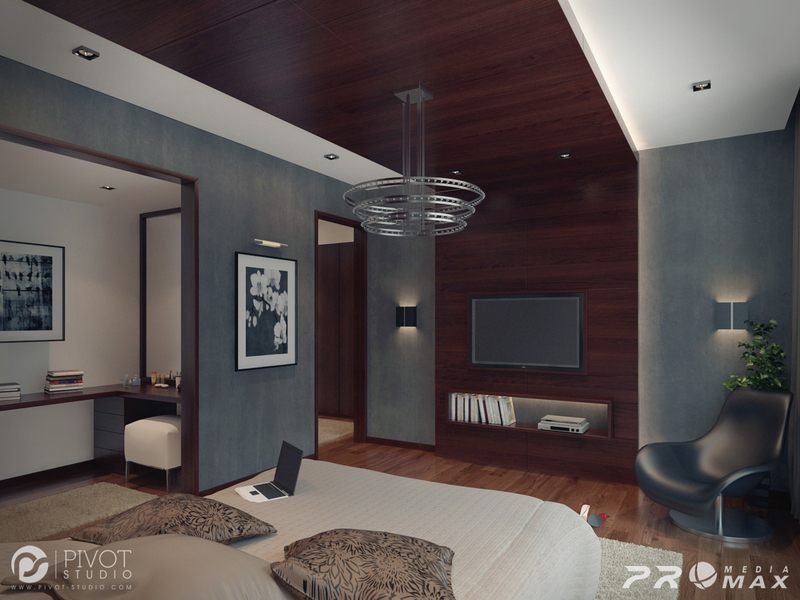 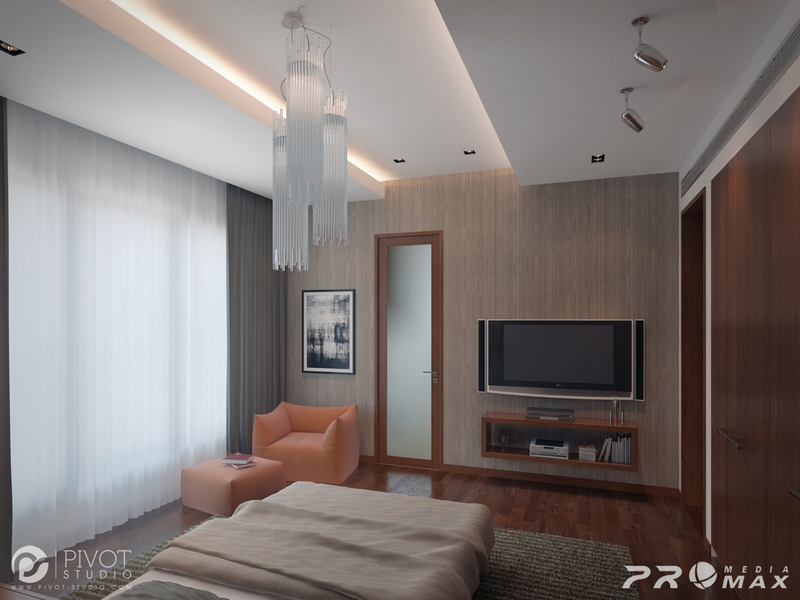 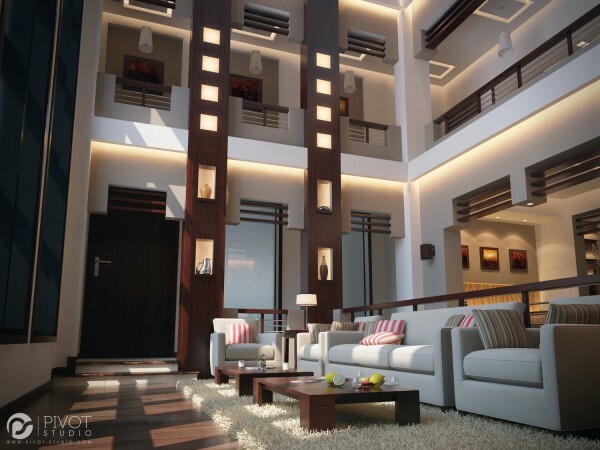 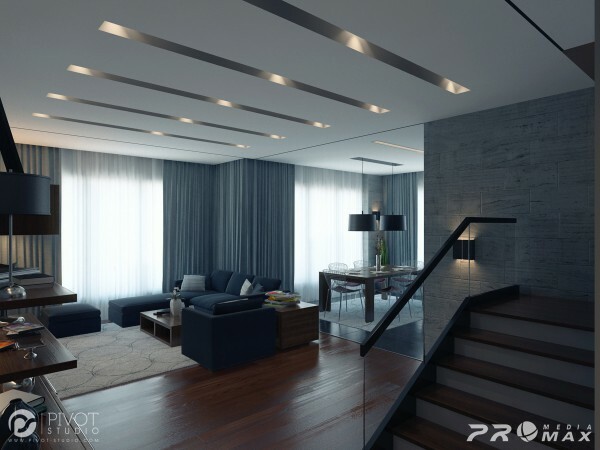 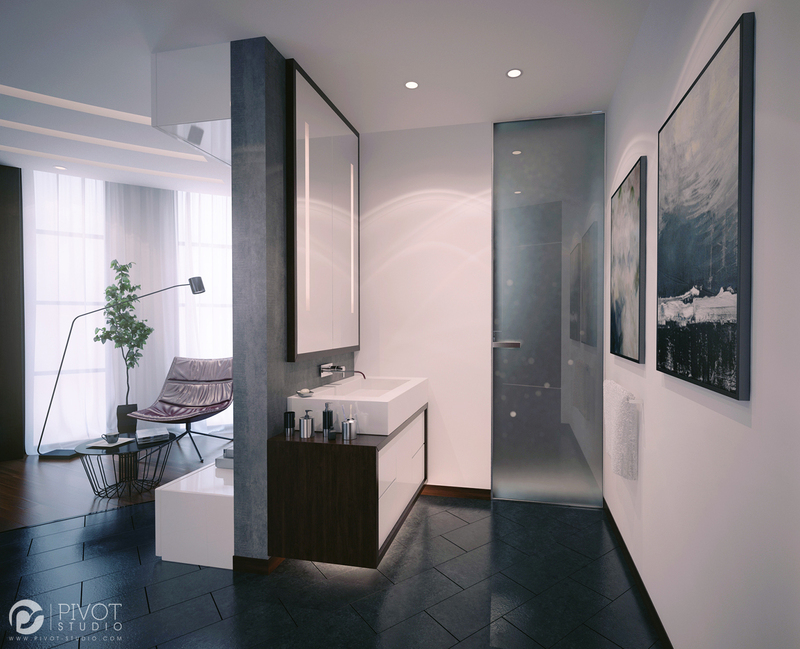 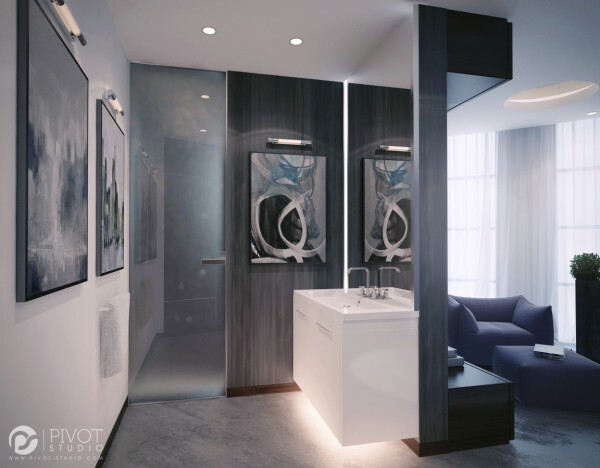 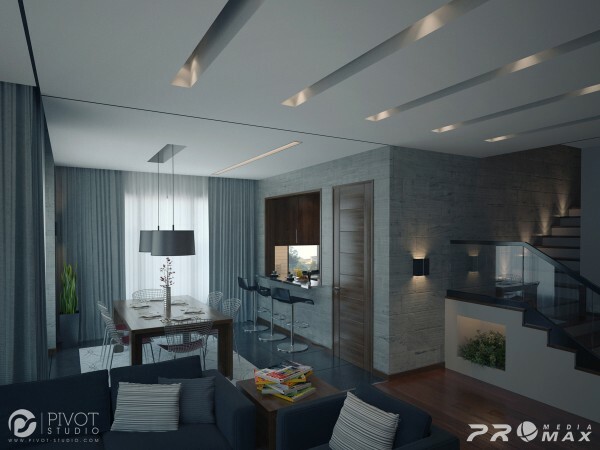 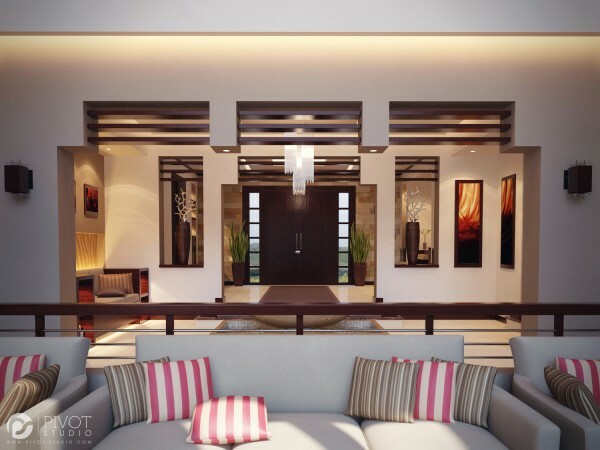 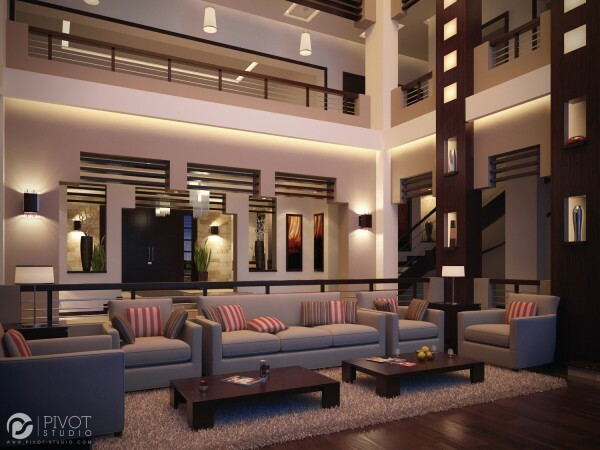 We're featuring some rather luxurious room designs from the portfolio of Pivot Studio here, with plenty of inspiration to translate into your own palace. 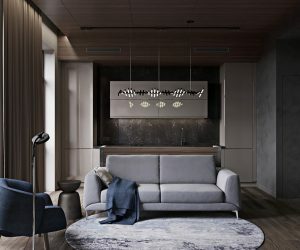 Offering up textured and extruded feature walls, extraordinarily asymmetrical storage solutions and joyous lighting schemes, these designs are sure to impress. 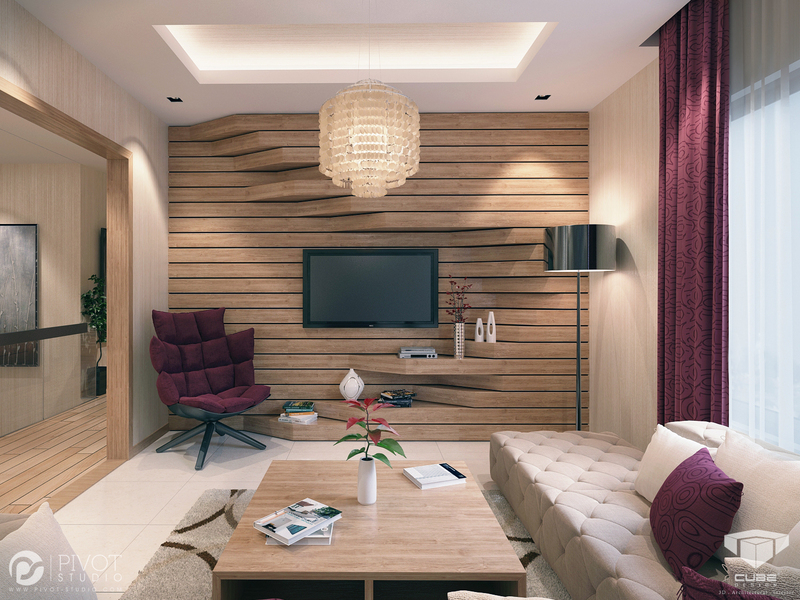 The extruded sections of this wooden feature wall are both design and function, becoming shelf space as they swell at the lower half of the wall. 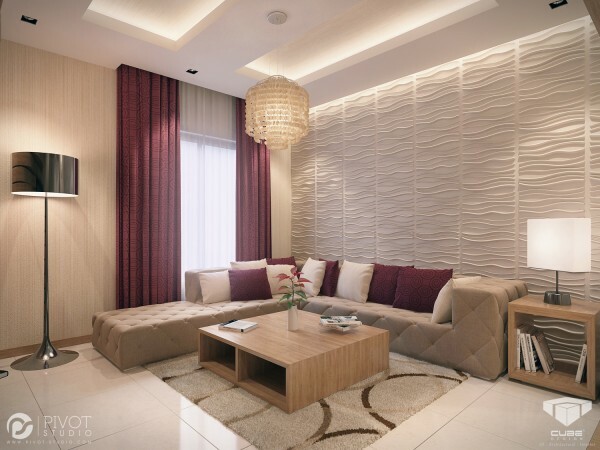 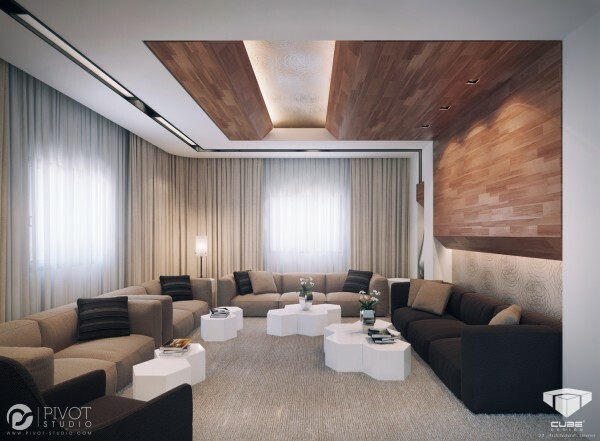 Recessed light wells cast a soft glow over each half of the room, and a perimeter glow accentuates the rippling texture of the wall behind the sofa. 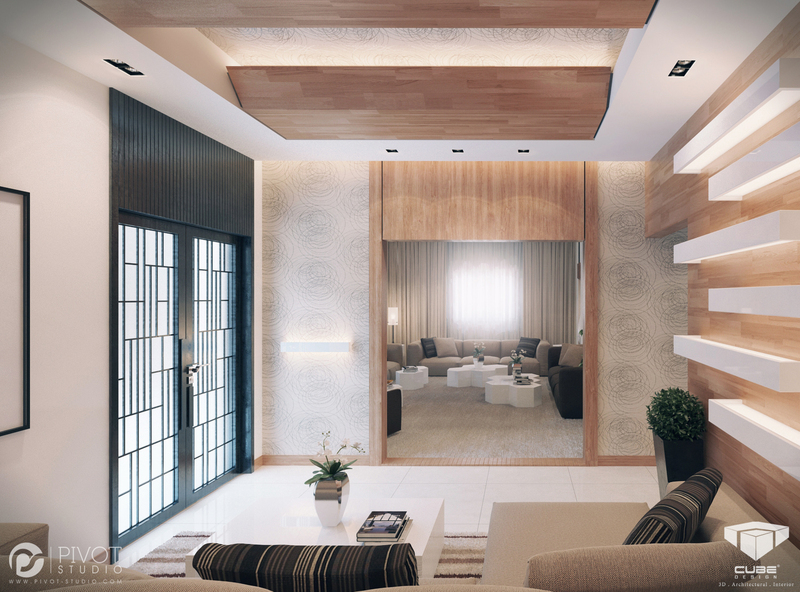 For decoration more so than function, a pretty pendant shade takes center stage. 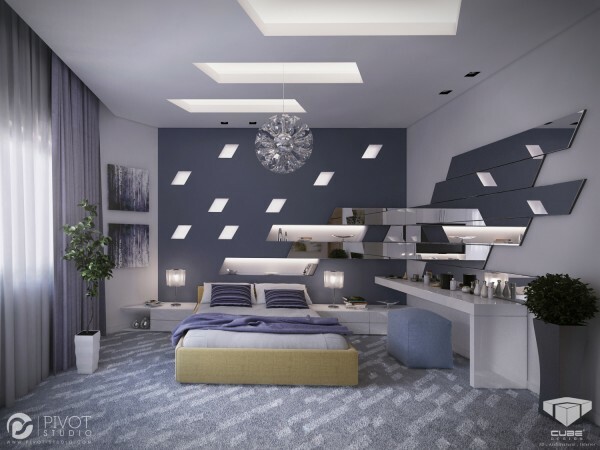 This bedroom has a series of sharp cutaways over the headboard feature wall, a pattern that is echoed in the pattern of the fitted carpet, ceiling light wells and the dressing table mirrors that run directly into recessed shelving cubbies. 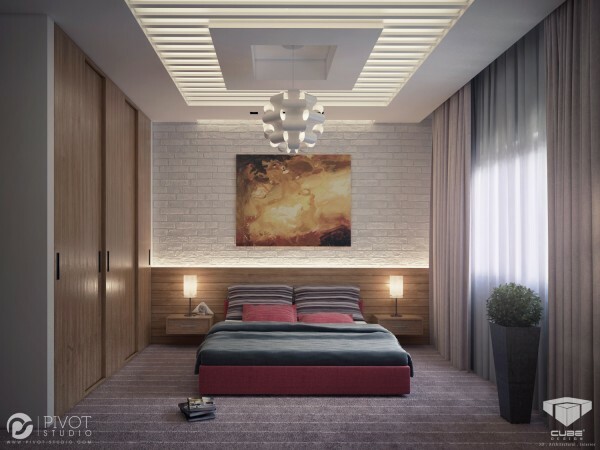 This bedroom has a much softer scheme, where light filters through a shutter design in the center of the ceiling. 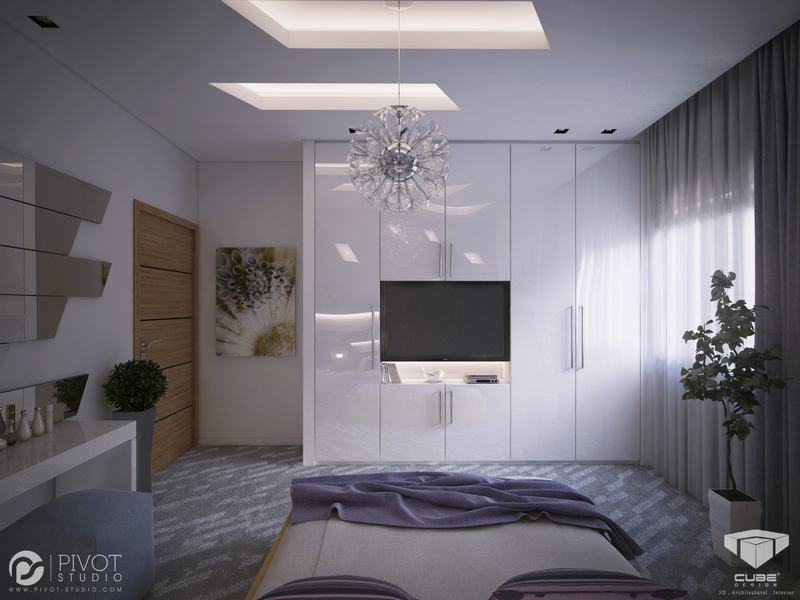 The dressing table begins as a floor standing piece but finishes in a wall mounted return. This forward-thinking geometric vision takes the sloping angles from the striking floor covering up over the illuminated headboard and directly into the over-bed units. 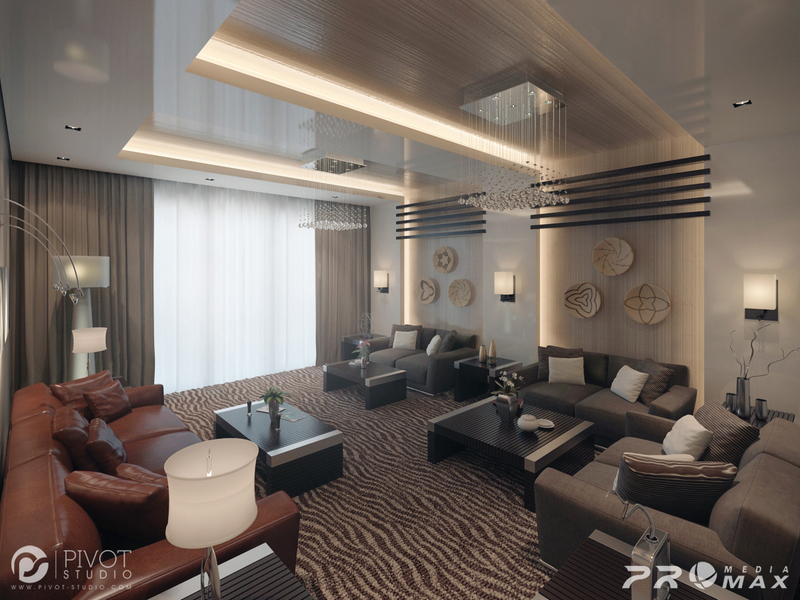 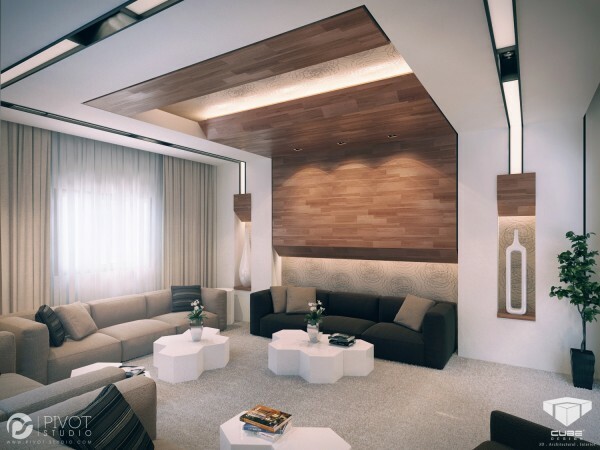 Even the ceiling and entertainment unit receives a hit of angular art. 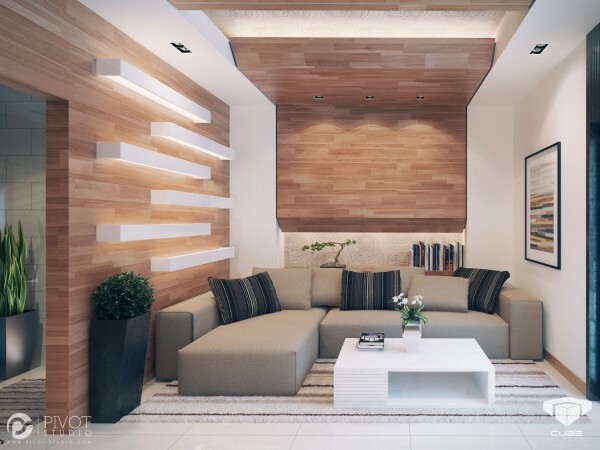 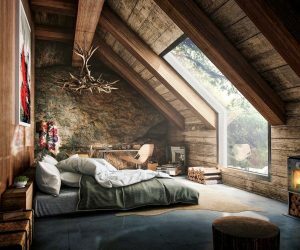 This triple height seating area within the entryway is breathtaking, but would most probably be a very echoey and rather draughty place on a practical level. 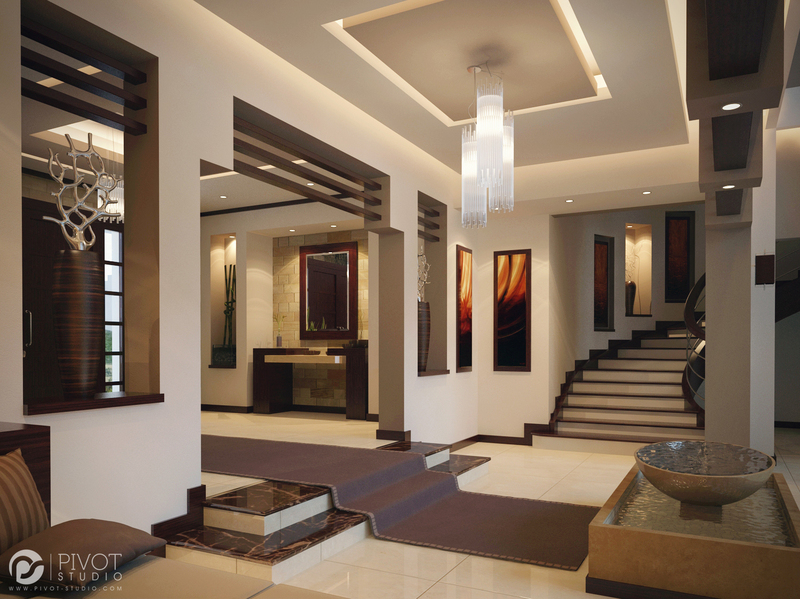 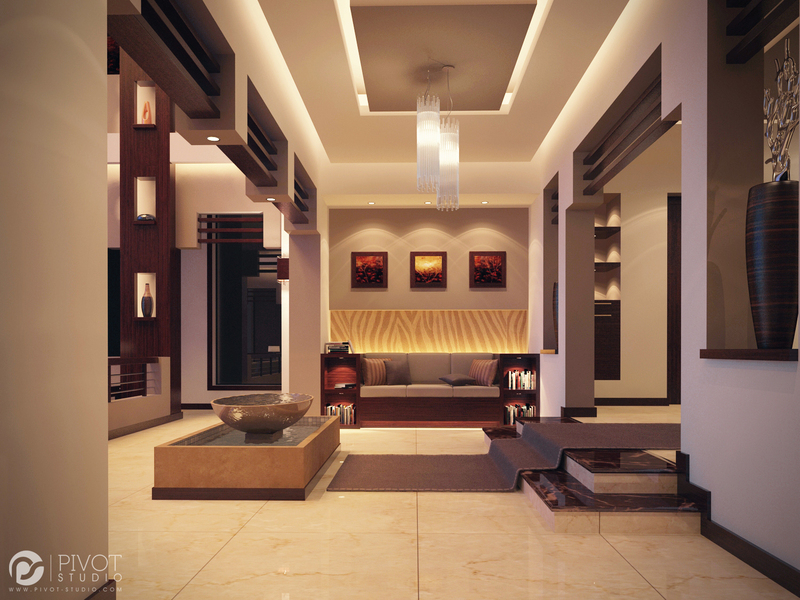 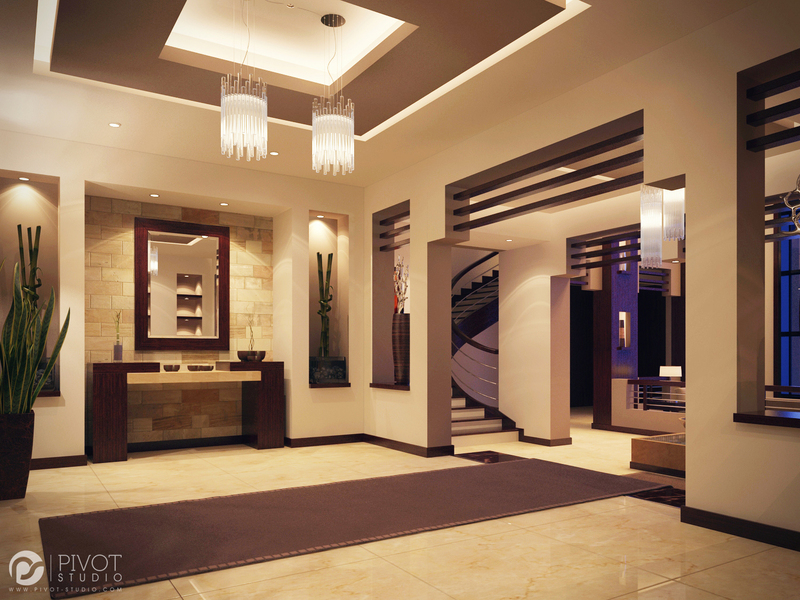 The wide entryway leads to a smooth sweeping staircase. 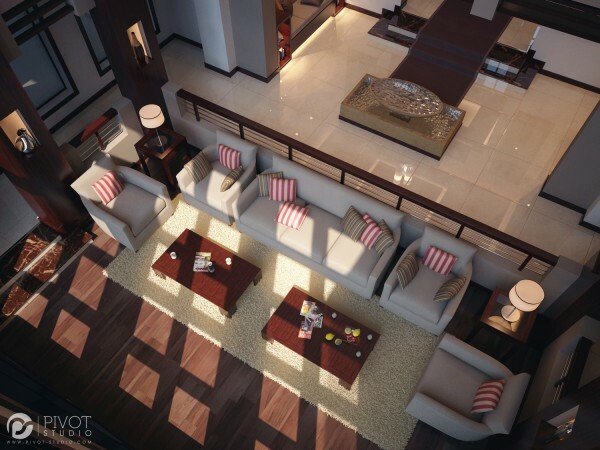 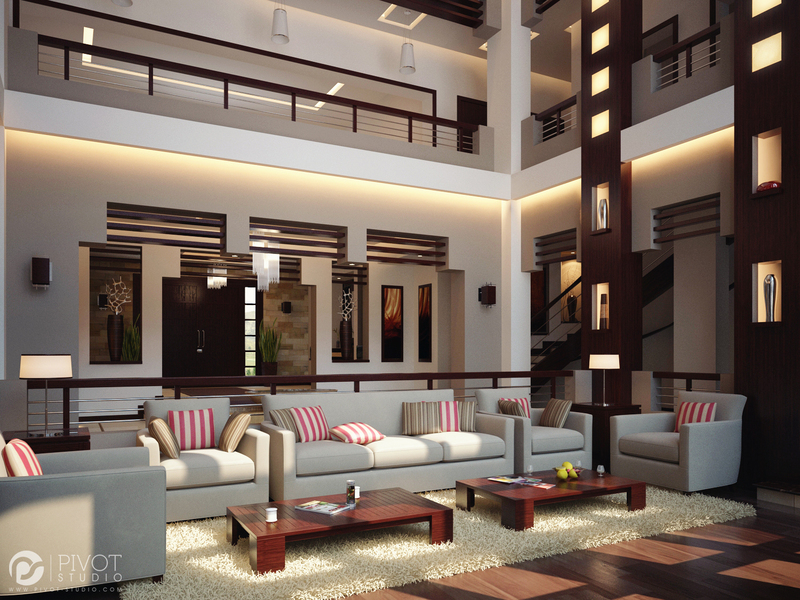 The reflective floor of the lobby bounces the warm lighting glow back into the space. 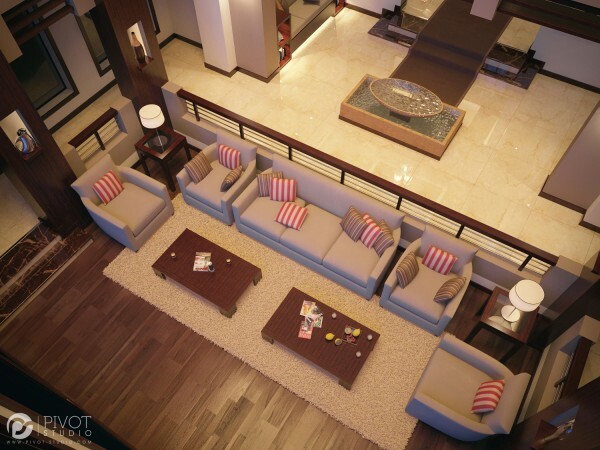 A huge area rug connects multiple seating options and coffee tables together as a cohesive group in the large room. 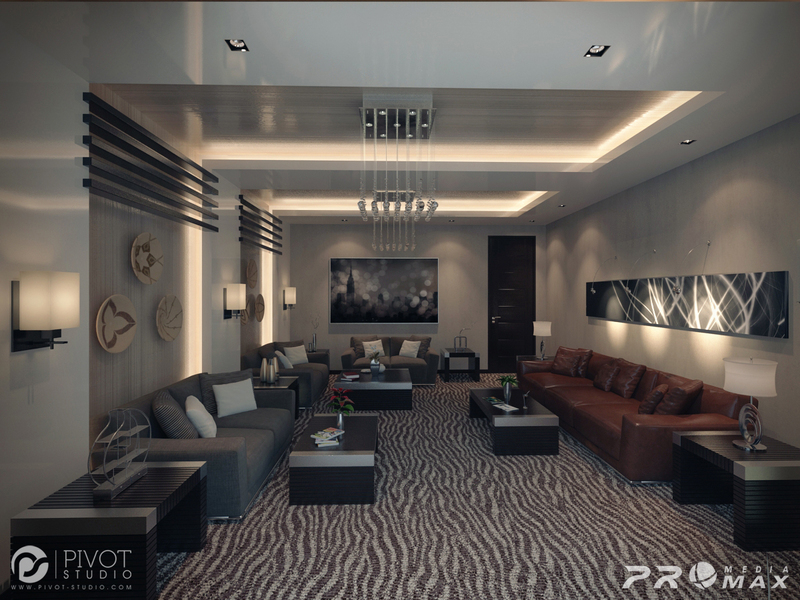 A sombre color scheme is lifted by an eye-catching patterned carpet. 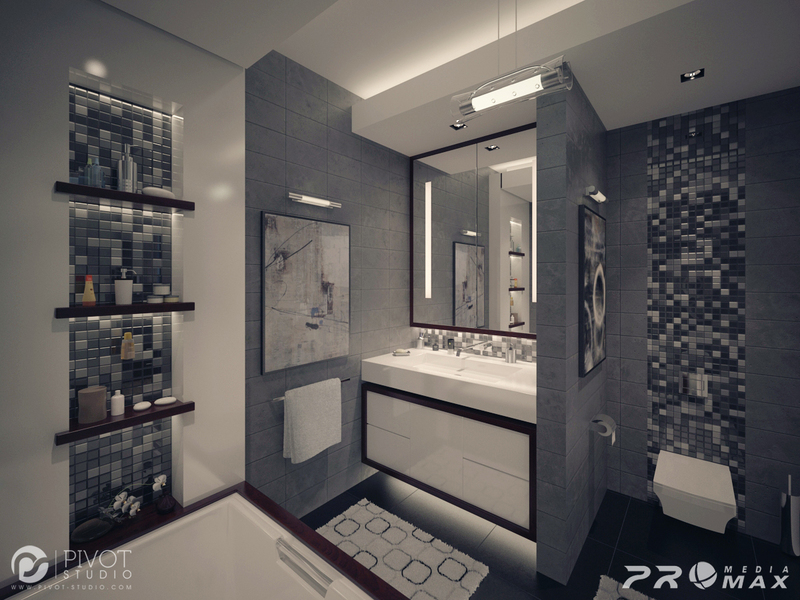 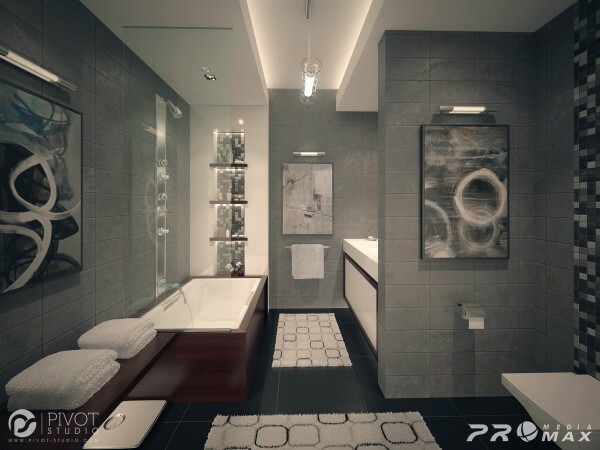 Mosaic tiles and patterned rugs add interest to a subtle bathroom scheme. A fun, echo-friendly headboard feature. 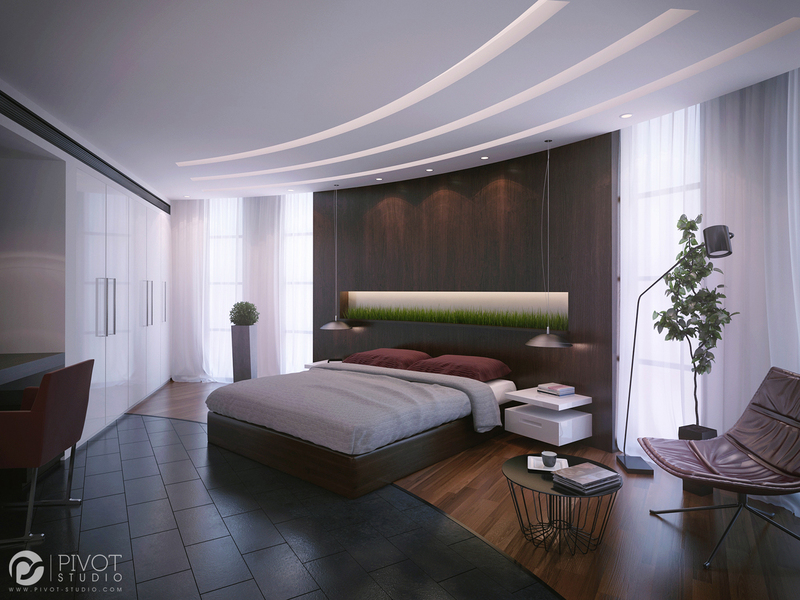 An undulating headboard appears to sit within the wall treatment of this luxury master suite.